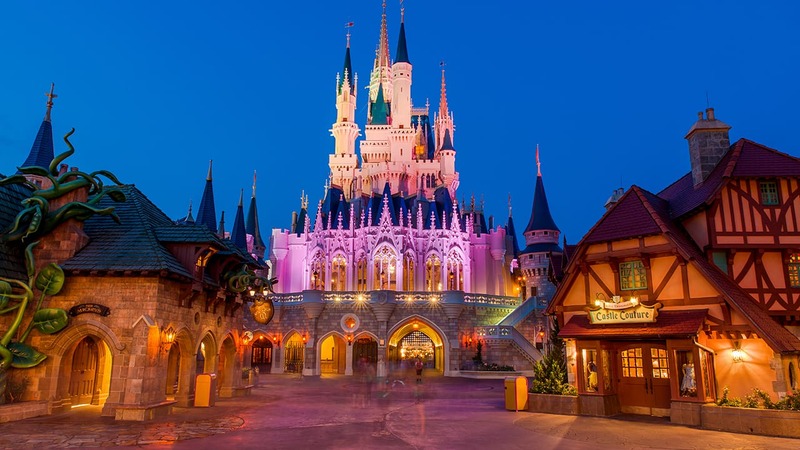 Disney After Hours, a new, late-night ticketed experience is underway at Magic Kingdom Park and it’s offering guests an experience like never before – after regular park hours. A Disney After Hours ticket, which is separately priced from a regular Magic Kingdom admission ticket, allows entry into the park at 7 pm to enjoy dining, evening entertainment like fireworks, the “Celebrate the Magic” nighttime projection show and the Main Street Electrical Parade. Then, as day guests leave at the regularly scheduled closing time, Disney After Hours participants are able to enjoy three more hours of little-to-no-wait access to more than 25 attractions. It’s perfect if you want to hop to as many attractions as possible. We recently held our first “Disney After Hours” event at Magic Kingdom Park. And after talking to guests about what they loved, here are five reasons you should consider it for your upcoming vacation. 1. Access to Attractions with little to no wait – More than 25 attractions remain open during Disney After Hours. A limited number of tickets are sold for each event night, meaning significantly shorter – or maybe even no lines! 2. Park Access – While the Event begins after regular park closing, your ticket allows admission earlier. The Disney After Hours ticket allows you in the park at 7 p.m. so you can enjoy the evening parade and fireworks. 3. Meet Characters – both Mickey Mouse and Disney princesses are available for photo ops, usually again with much shorter lines. 4. 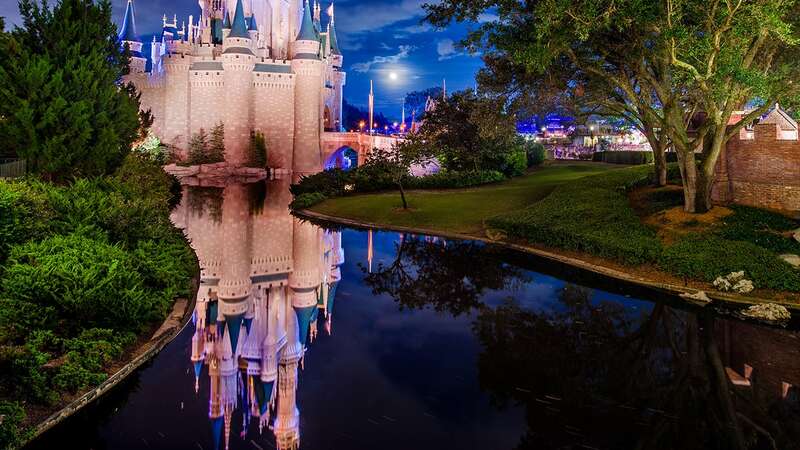 Amazing photo ops – Have you ever wanted to take that perfect picture of your favorite attraction lit up at night? Smaller crowds may make that possible. 5. Ice cream included – Mickey Premium Bar lovers won’t want to miss out on this part of the night. Beverages are also included. Don’t forget: There are only 4 nights to choose from and the number of tickets available for each one is very limited—be sure to purchase yours today. The after hours event was THE GREATEST DW NIGHT EVER!! We live in NY and still have managed to make it to DW Quite often and no other trip was as good as this one because of this event. We went on 7 dwarfs mine train 6 times and every other ride atleast 2/3 times!! People who are bashing Disney for this event have no idea how great it is and I keep reading its for 3 hours. It is for 7! You can arrive at 7 and still see the parade , fireworks etc! We look every day to see if they are going to run this again and what dates because we will then return and plan our trip around the dates! PLEASE DO THIS EVENT AGAIN!!! Just let people know more about the event and times so they will stop bashing it!! we’d like to go 😀 July? yeah…it will add some great memory to celebrate my parents’ gold anniversary in July…is there any chance & how to proceed? I would LOVE to do this and hope that more dates are released for when we are there at the end of August – beginning of September. I think it’s awesome for locals and those staying off property that are having a difficult time getting those hard to get fast passes! And for those travelling from farther away and staying for more than 10 days (the maximum number of magic your way park day tickets) – I think it is a great option instead of purchasing another single day pass. Plus Mickey ice cream!!! I think that the feedback would be more positive if there was more notice so that visitors could plan for the additional time and expense. Keeping our fingers crossed! Hope you extend the run so people get a chance to see the value! We just came back from our bi-annual WDW vacation yesterday and did the after hours on our last night. WORTH EVERY PENNY!!! It was almost like having the park to ourselves. We, very literally,walked onto every ride. Not being hot, tired and cranky from having to stand in line made the ride itself so much more enjoyable. Without the noise of other people around you the rides almost felt new again because you notice so much more when you’re on them. My daughter and I both felt like it was the best night we ever spent in the Magic Kingdom. Before it started, some Disney staff would notice our pass and tell us they’d been hearing how great it was from friends and other visitors so our expectation was high going in…and we were not disappointed. I wish I could post pictures to show you. Fast passes and extra magic hours don’t come anywhere close to this experience. Please keep it up, Disney, it’s one of your best ideas ever!!! We attended on April 28th, and had a fantastic time. There is not one bad thing we can say about that night. It was the last night of our stay at WDW, and it was the perfect way to spend it. We were able to walk right onto rides. Literally, there was no waiting. We walked from ride to ride, got right on (sometimes, we would have the entire ride to ourselves! ), and on some rides, stayed in our seats and rode it a second and third time! The Mickey Bars are always a welcome treat. It was such a great feeling to walk the park, and see almost everyone eating a Mickey Bar, with a huge smile on their face, knowing that they could have 10 more if they wanted. The free drinks are also a huge plus. Now the best part; the pictures. This was our fourth consecutive trip to WDW, and we were able to take some of our best pictures at After Hours. We hung around as late as we could on Main St., as did the photographers. They took some fantastic shots, and definitely went out of their way to take more creative shots than we expected. The results were perfection. We also took some of different areas of the park, where we were the only two around. To see the park empty like that, and have all the magic still going on around you, it’s hard to describe how you feel. You have the park to yourself. We have incredible shots of the castle, taken from the beginning of Main St. and there is not a single person around. There’s not too many times in your life you will be able to say you walked WDW and had the park to yourself. As we exited, we heard that we were the last two to leave the park. We were personally called a bus back to our hotel, they walked us over, said goodnight, and we left. We even had our own bus. It was truly, a magical experience. We paid full price, on top of the trip we already had planned, and we would do it again in a heartbeat. It’s one of those things you just have to do and we are beyond lucky and more than thankful that Disney put something out there, that we wouldn’t have otherwise been able to do. In addition to the off-resort guests, I assume this is also being pitched as a fun event for annual-pass Locals, who obviously have less reason to go stay at the resorts and enjoy the existing EMH perks. Will there be a 24 hour event at MK like there was last year? I don’t know what all the fuss is about. If you just plan your trip to land on the already established ‘extended park hours’ or stay at a Disney Hotel you can enjoy the parks late and not have to pay any extra fees; it was like another $150 for this is memory serves me right. I’ve gone to MK multiple times and the crowds, especially small children, clear out by 11pm. I remember walking around MK at 12:30am and the park was a ghost town. I rode every single ride atleast 3 times. I don’t really see the need to have to pay so much more per person, unless your restricted to the days/time you can go. Hi Jennifer, I’m coming to Disney in September and I was wondering if you know if Disney After Hours will still be running then? Thanks. No word on future dates yet. Stay tuned. I have been struggling to plan my trip to MK to ensure I don’t miss the 24 hour event. Can someone at Disney just respond to the fact that there is or isn’t going to be one of those this year? I don’t necessarily need a date yet but just a yes or no would be great. It would save me and other folks that keep asking a lot of headaches. We are also coming after this event ends . We arrive 5/24 and would love to do it that Thursday night the 26th!!! Ohhh to have missed it by one week is painful!! Please extend !!! “Actually, the Magic Kingdom is not closing early for Disney After Hours. The park is operating on a typical calendar for this time of year, and Disney After Hours takes place during hours when the park would have been closed. MK was open later than 10:00 pm last June. Can you say, with certainty, that the June hours will be updated for later MK closing times? Most of the ad copy seems to treat the new After Hours parties as if it’s the first time they’ve ever been done, and hotel guests ask “Why should we have to pay so much?” Well, you don’t; maybe it’s a chance to let other guests in on the fun. I really feel that this is not right or fair to regular day guests and I hope that this will not be happening in June. I already noticed that the parks are closing earlier than usual during that month. At least make one of the other parks stay open later to the regular day guests so that there is at least something to do during the late evening besides shopping at Disney Springs. Actually, the Magic Kingdom is not closing early for Disney After Hours. The park is operating on a typical calendar for this time of year, and Disney After Hours takes place during hours when the park would have been closed. I attended this last Thursday. I understand and appreciate the feedback many share of all the hard ticketed or premium events — thanks, by the way for the Annual Passholder discount for this; however, this was, without doubt, the best ticketed event I’ve attended. Superior to the holiday parties; superior to the various Ultimate VIP experiences. I can’t hope enough that Disney will extend DAH past it’s initial test run. When will you announce the 24 hour day at magic Kingdom? I hope it will be on May 27.